Like it or not, wherever your favorite team plays is an integral part of the game experience. From unique dimensions, playing surfaces and the elements, these things can all add or detract from the overall experience. With the birth of so many new venues over the last 25 years, the fan experience has been dramatically improved. For the most part the previous generation of stadiums lacked ingenuity or any sort of bling and at the bare minimum left something to be desired for the fans. The only fun part of them was the nicknames that were bestowed to several of them such as concrete doughnut and my personal favorite…..the Toilet. There was one stadium that stood out among all of these circular disappointments and stood above all the rest, The Houston Astrodome. Its amenities were well ahead of the times and served the fans of Houston well for several decades. Now there is a book that celebrates the creation of the iconic stadium and shows all the work that went into building the eighth wonder of the world. I have always looked at the Astrodome as a baseball stadium. Never giving much thought to the other uses for this multi-purpose marvel. First, this book takes a look at the political wrangling that it took for the city of Houston to procure a Major League team as well as some of the promises it was required to make as part of that deal. It shows the tireless efforts of several key figures in Houston and the many failed previous efforts of the town. It paints a vivid picture of how much time and effort goes in to just getting a promise of a team. The book also goes into great detail about the political obstacles the new stadium faced in Houston as well as all the engineering hurdles that had to be cleared to create something of this magnitude. It goes into great depth to explain how the stadium was physically built to withstand the elements and how it has been able to withstand the test of time. The authors also show the readers all of the unique attributes that were built into the stadium and you can see how forward thinking those involved with its construction truly were. The book also addresses the many uses the Astrodome had. From concerts, rodeos, football and countless other uses, it really lent itself to being a jack of all trades. Like all stadiums of this era, it was a living, breathing and evolving building and changed with the needs of the times. Finally, it does take a harsh look at the aging of the dome and how it fell victim of the current times. In the end, the once grand palace of baseball became just another decrepit old stadium. A stadium that no one is sure what to do with and probably at some point, like all the one time greats, will meet its demise. The book is very comprehensive and shows those not living in Texas what the Astrodome was truly about. It also gives a nice glimpse at Texas politics and how that works as well as the way the people of Houston have helped change their self image with the help of the dome. While this is not a baseball only book, it still has a large chunk of Colt 45’s/Astros information. If you have interest in old stadiums this book covers it from its beginnings to its possible near end. It has lots of information readers will find informative and entertaining, If like me, you were never lucky enough to visit the Astrodome, this book will surely make you wish you had. We have seen in the last few posts how certain publishers focus on baseball fans and really provide a great selection for them. As we head into the pending long, hard winter, I figured it is always a good idea to showcase a few more publishers that take care of the fans and get us to our awaited destination, the first pitch of Spring. Sports publishing has long been a staple of baseball book publishers and offers a diverse catalog for fans. They offer multiple sports, but for me it’s all baseball or bust. Historical, team related, biographical, new release or not, there always is something that fans can find that will appeal to everyone. While this is not a new release, it still is a great look at the most vital position on the field, the Pitcher. By going through the entire history of baseball, Westcott gives the reader some of the most memorable feats performed by Pitchers. Heroes of the game such as Waddell, Chesbro, Cy Young and Mathewson through modern day greats like Ryan, Seaver, Carlton, Maddux and Randy Johnson all get their due. It is a nice mix of various pitching accomplishments that have help build the history of the game. 51 chapters covering one position is a lot of memorable feats for the reader, and also introduces them to some not so mainstream stories. Check this book out if you want to expand your knowledge of the game’s history and see the value that the Pitcher has added to our great game. Lets face it, the Home Run is one of the coolest aspects of the game. It can change the entire momentum of a game, series or even a season. There is a reason we keep so many Home Run records and why we still are arguing who is the real Home Run King. There are easily more than 101 home runs that one can call to mind but this is one of those books that narrows it to a certain number. The one thing the reader has to remember is that they will not always agree with the 101 that were picked. So it offers some debate material for you and your friends to discuss over a few beers, but in the end, everyone’s list will be different. 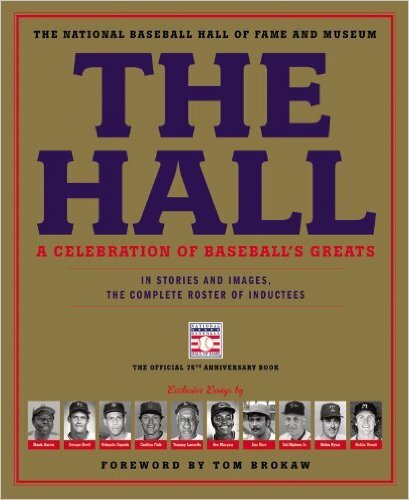 The authors give a nice sampling of Homers and it allows the readers to re-live some of the greatest moments in the game’s history. But in the end, someone, somewhere is going to disagree with at least 1/3 of the picks. So keep an open mind going into this one. There was a post in a Facebook group this week asking about this series of books. It is a very interesting series that puts a unique spin on your favorite team. The Pittsburgh Pirates book above is the latest in the series and offers you the worst players to wear certain uniform numbers, statistics and history base off the numbers as well as first home runs by certain numbers. There are so many various things they offer related to the numbers that it is almost impossible not to enjoy these books. If you are a fan of a certain team you will enjoy this series immensely. Check out Sports Publishing’s web site for their other team offerings. We are all familiar with the Black Sox scandal of 1919 so no need to rehash it here. I tend to shy away from the Joe Jackson books at this point because I am not really sure if I am going to get anything new from reading another one. Well I am glad to say Hornbaker has given me a more complete picture of Joe Jackson than I ever had before. He looks at his time prior to joining the Chicago White Sox and his career blossoming career in Cleveland. It paints a much broader picture of the center focal point of the Black Sox scandal and an further understanding of the real Joe Jackson. No matter what side of the scandal you sit on, this book is worth taking a look at. It provides some new perspectives of all events of Jackson’s career and life. I wonder honestly if Ty Cobb gets more coverage now than he did while he was alive. He also is a very tough market to write a book during the last few years. Hornbaker’s book is another in a long line of recent Cobb themed books and like his Joe Jackson book provides a different perspective on the Hall of Famer. As always it is up to the reader to decide what is fact and what is legend, but the author does an admirable job at presenting alternative truths about Cobb. It is worth the time to read but in the end, the reader has to make the decision which one of the Cobb books presents the most truth. After all the books, both fact and fiction, that have addressed Cobb, it is going to be hard for readers to ever figure out what Cobb’s true story actually is. Finally, we take a look at one of my hometown favorites. This book covers more than just baseball and usually I don’t touch these book on here,(see my disclaimer above), but hey……….it’s Philly! It takes a thorough look at Philadelphia and the Championships we have been lucky enough to celebrate through the years. Baseball, Basketball, Football and Hockey are covered as well as showing the transition from a town built on Dynasties to a town laden in a Championship drought for so many years. It events like these that helped shaped me as the sports fan I am today. It also shows that the Philly fans may not be as bad as we are always portrayed. Take the time to check the books out on Sports Publishing’s website. They have these and many other great baseball books that are sure to please everyone. I think I am a fairly ordinary guy. Growing older somewhat gracefully, as my inner child slowly calms down. I think a by-product of growing older is your memory is not as great as it used to be. If you asked me what I ate for breakfast a few days ago, I may have trouble giving you the correct answer. Another side effect of the passage of time on the memory is nostalgia. You may romanticize things and enjoy them much more today than you actually did thirty years ago. In the last few years there have been books published that dissect a game from several decades prior, inning by inning and pitch by pitch, which leads to my first of many questions. How do players remember everything that happened during a specific game, every thought process, every tobacco spit and every sneer at an opposing player. If you ask why am I asking such a silly question, please see the sentence above about my breakfast. Anyhow, today’s book follows this same format about game seven of one of the most dramatic World Series in recent memory. The 1986 World Series without a doubt was full of plenty of drama. From the New York Mets trek to the big dance via Houston, to Bill Buckner making himself a footnote in baseball history, 1986 is a hard one to forget. Ron Darling on most other baseball pitching staffs would have easily been the Ace, but on the Mets he was in the shadows of one phenom, namely Dwight Gooden. Nonetheless Darling was the arm on tap to pitch Game 7 of the 1986 World Series. Most people forget that the Buckner error was in Game 6 which then led to needing to play a game 7. Ron Darling has made a nice little post pitching career for himself being a baseball analyst for both the Mets and the MLB Network. He has great natural insight into the game and always explains the nuances to the fans so that the get a full understanding of the issues at hand. Darling takes the same approach in his new book. He takes the reader through Game 7 inning by inning, explaining the thought process used in his pitches as well as what was going on around him. You see how the pitcher Ron Darling was processing the events of the day, but he also shows how the person Ron Darling was interpreting it as well. It gives a real good rendition of the players take on what happened in Game 7, from a person who was on an emotional see-saw the entire evening. Darling also gives a little glimpse of his personal life as well as some takes on his New York teammates. It is not an in-depth analysis of his fellow Mets but it certainly gives the reader a behind the scenes glimpse of the team. The question still sticks in my mind, how do you remember this much vivid detail 30 years later? Admittedly he used some video footage to “refresh” his memory, but I still find it hard to accept these types of books as 100% credible. Time easily distorts things even with the aide of video tape. It also seems to some degree Ron darling is apologizing for his pitching performance but does seem to take the attitude of “I am sure glad we won, even though I sucked”. This book is an enjoyable and quick read. It flows smoothly and if Ron Darling is remembering correctly, gives the reader some great detail into Game 7. It was a World Series to remember and all baseball fans will enjoy reliving this one special game. When you think of the Houston Astros in the 1970’s, one of the first names that comes to mind is J.R.Richard. Being a tall and lanky pitcher with a blazing fastball, he combined both of these attributes to scare the crap out of hitters throughout the National League. In an era in Houston before Nolan Ryan, Richard was the ace on the staff of the young up and coming group. With the signing of Nolan Ryan the Astros became a force to be reckoned within the league and the sky was the limit for everyone. Then one day the glass ceiling shattered and for one player life would never be the same. I was really looking forward to this one. I was always a fan of J.R.’s growing up and remember him in the Astros uniforms of the late 70’s. I remember hearing of his stroke and trying to follow his comeback as best a fan who lived in Philadelphia in 1980 could. The translation of that last sentence means I could not follow it very well. So between the story line and Lew Freedman working on this book I expected a winner. I am happy to say I was not disappointed. The book follows a back and forth format. Each chapter starts with an overview of what that chapter is going to cover, presumably in the words of Freeman. Then it shifts to Richard sharing his story. It is a good format that works very well for this book, instead of trying to make it all seem like J.R. doing all of the storytelling. The book covers a great deal of topics in Richard’s life. It talks about his poor upbringing, his trek through the minors and then finally arriving in Houston to stay. The biggest part of this book is of course, talking about his unfortunate stroke and the devastating after effects it has had on his entire life. He shows you how his career was never able to be revived, how marriages failed, business dealings went bad and all the things that eventually led to him living on the streets of Houston. One would think after all of this J.R. Richard would be extremely bitter, but I found just the opposite in this story. He has been lucky enough to find God and get his life back on track. He has through his faith been able to understand his past, and accept it for who it has helped him become. It really is a remarkable story of perseverance and overcoming obstacles in one’s life. He shows great character and is a better man than I ever could because of his outlook of his own life. If it was me that had to struggle through all of this, I don’t ever think I could have kept the positive outlook he was able to maintain. There has not been a lot of things published on J.R. in the past, so this book really helps fans understand what truly went on in J.R. Richard’s life. All baseball fans should check this out it really is both an enjoyable and remarkable story. Happy Reading and Merry Christmas to all, may Santa be nice to your library this year.